Didn’t I just welcome September four blog entries ago? And, didn’t I just welcome 2014 yesterday?! Why does time move so fast? I didn’t notice November go by at all. I don’t know why I always feel this way when it’s almost the end of the year. I think it’s because this is the time I realize that I’ve run out of time and haven’t accomplished anything. Again. Well, at least 2014 was way better than 2013. First three quarters. Those were a rough nine months. But the latter part of 2013 were some of the best months of my life, I have to say. Oh. Is this the blog entry where I recap the past year? I didn’t mean for it to be, but I guess now that I’m typing this, that’s what it’s going to be. So. What has happened this year? I went to a lot of places. I really did. Then in the summer, my friends and I went to Borawan in Quezon, and because we went on the day before the holiday, it felt like we had the island all to ourselves. And we ate seafood, played card games, and talked, nay, laughed about our feelings. It was great. I also went to Phuket, Thailand with my parents. And we stayed at a different hotel each night and it was a lot of fun. Despite the really really sick-inducing boat ride. Everyone: Don’t go to Phuket in June. It’s just… Not good for your stomach. You know where you should go in June, though? Baguio. 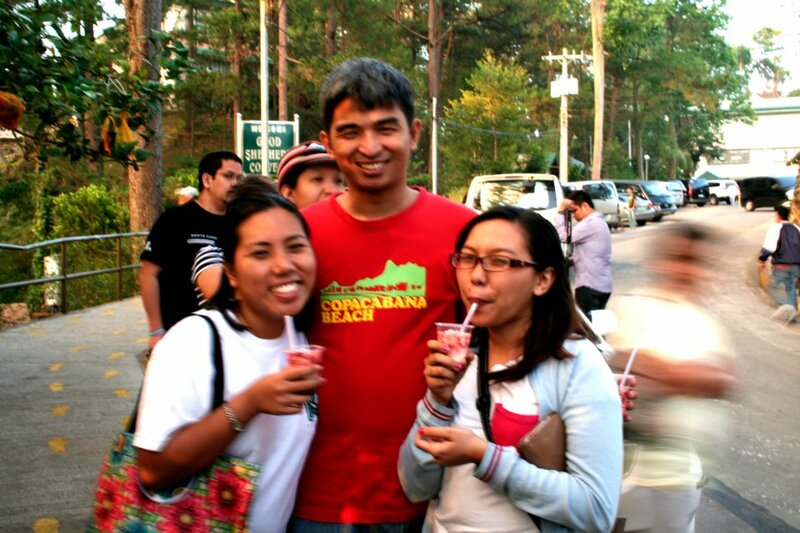 Two weeks after Phuket, I was in Baguio with my friend M and it was Baguio like I’d never seen before. Not too many people and the cold weather that’s not too cold but not warm like you’re not in Baguio either. And sure it rained in the afternoons, but that’s the best atmosphere for reading a good book while drinking strawberry hot chocolate! 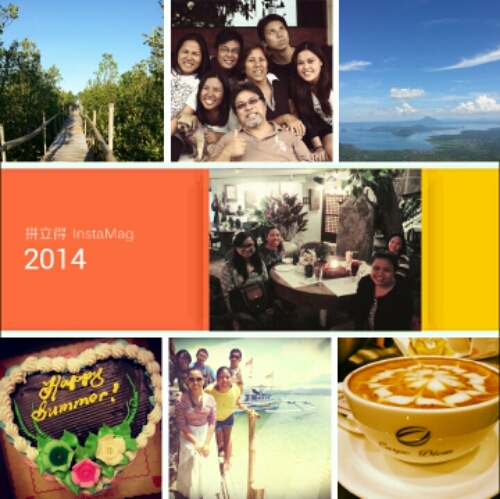 And just last month, I was in Cebu with M2. And not just anywhere in Cebu, but in Plantation Bay! One of the best resorts, if not the best resort in Cebu! It was a really great experience. I was able to go parasailing for the first time, was able to eat CnT lechon and try Zubuchon, too! Oh, and did I mention that this is also the year when my cousin B celebrated her 18th birthday, my parents had their 35th wedding anniversary, my brother & sister-in-law celebrated their 1st, at one point I got the top rank in our office, I won a free movie ticket just from sending stickers in WeChat, I was named godmother to one of my closest friends’ first child, I went on three semi-spontaneous trips to Tagaytay with different friends, X and I watched Wicked at CCP, my former officemates and I tried out different restaurants on Aguirre Ave. in BF Paranaque and Kapitolyo in Pasig, and The Walking Dead started its best season yet? Looking back at my 2014, I feel really really happy. I mean, sure, there were still sad events that happened, but there are some people who go through entire years without taking one out-of-town trip or seeing old friends or spending time with family members who live abroad, and I got to do all of those! 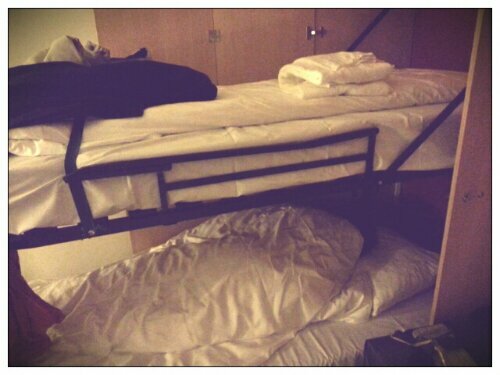 Tonight, my dad chose to sleep on this bunk bed that’s usually kept inside a cabinet. Oddly enough, despite this being the “extra bed” and not the regular bed for guests, it’s the one we fought over on who got to sleep in it. Maybe it has something to do with this being our only night here in this hotel in the outskirts of Oslo, Norway. We weren’t even supposed to spend the night here, really. Our plan was to go to Hamburg straight from Tromsø. But we couldn’t find any more available flights for that and it would just be too hard to spend more than 15hrs in an airport, so an overnight stay at the nearest budget hotel it is. 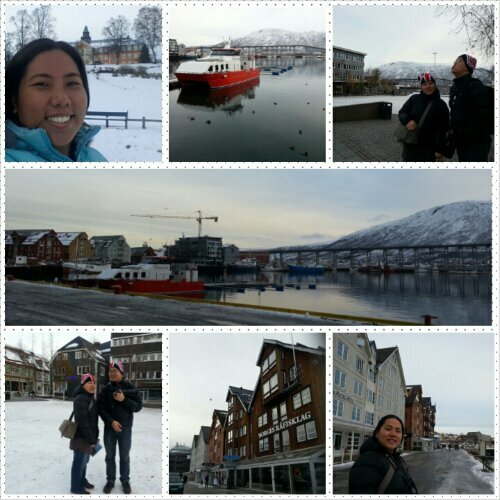 So we had lots of fun in Tromsø, albeit the cloudy skies that made it difficult for us to see the Aurora Borealis. The town was really pretty and unlike anything I’ve ever seen before. Also, the view of the snow-covered mountains was quite amazing. So if you’ve never been to Sagada unless you’ve been to Sumaguing Cave, then I can’t tell you where I was the past few days. 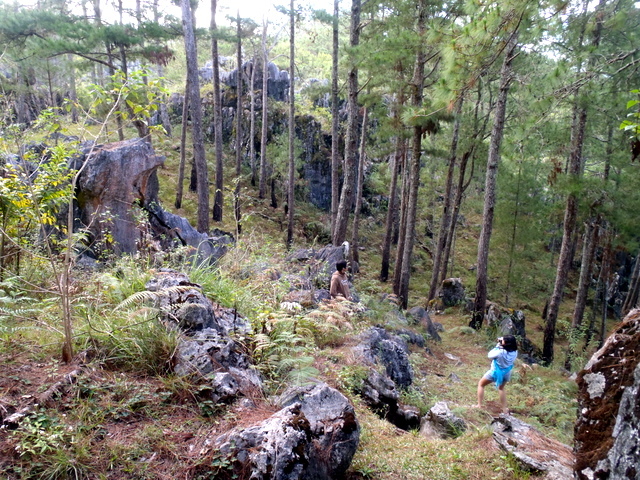 I can tell you though, that I was definitely not in Sagada. Because I didn’t go to Sumaguing Cave. My friends went, but I didn’t. And I’m still bitter about it so I won’t post their pictures in the cave, even if they used my waterproof camera. 😡 Though I can’t really blame anyone. I got sick on the day we were supposed to go! 😥 And so that ends my Sagada story. 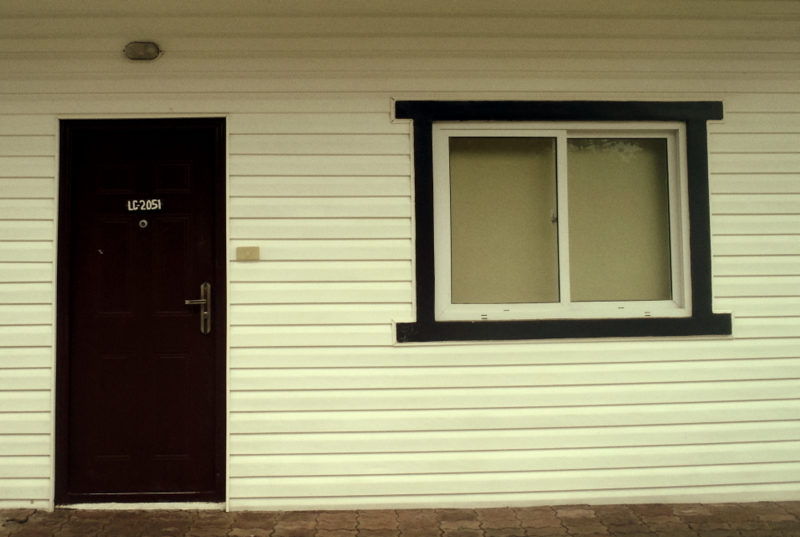 End of entry. We took the 7:30am bus to Baguio because one disadvantage of being on the night shift at work is that you’re still at work when everyone else is taking the midnight bus. So when we got to Baguio, it was already 3pm and there wasn’t much time to do anything except to buy a few souvenirs from Good Shepherd, Mines View Park, drink strawberry taho (trip highlight!) and of course, eat at Session Road. And we ate it with some kiwi fruit given by our friend C (It’s a guilt gift, on account of she was supposed to go with us, but didn’t). 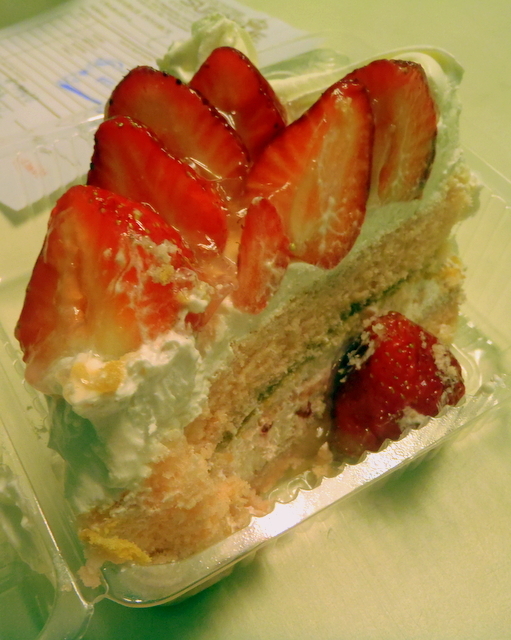 Anyway, it made the cake more yummy and I think I might actually go to Baguio again just to eat more of this cake. Yay! Another road trip! Hahaha! 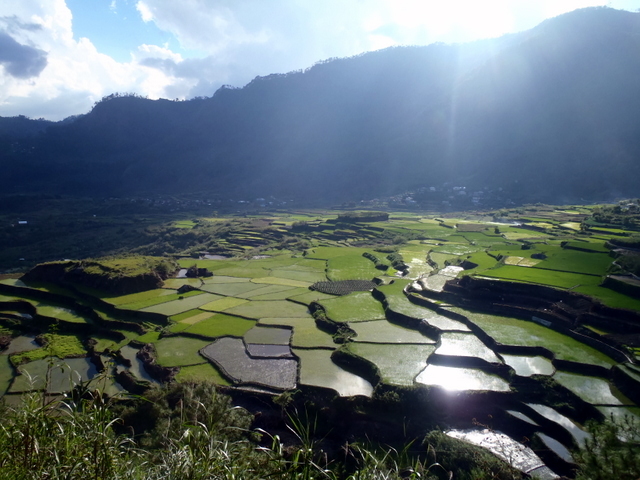 The next day, we woke up early-ish to catch the morning bus to Sagada. We ended up taking the 9AM bus, which was… fine. Because I like my sleep. But it did get us to Sagada at late afternoon so that’s another half-day gone just because of the bus trip, so yeah, don’t follow our itinerary. But at least we weren’t too tired or cranky from not having enough sleep ‘eh? Or at least, I wasn’t. My two other friends M and G actually did wake up really early so they could go to the market and buy vegetables. But her house was so quaint and peaceful, being away from the town and all, that it’s really not that bad that you have to walk a distance to get to it. And Tita Ligaya is one of the nicest people you’ll ever meet. Really, it felt like we were visiting an old friend, even if it was the first time we met her. 🙂 She went with us to the town so we wouldn’t get lost and we found the Yoghurt House easily. The yoghurt was delicious, though I have to admit that I had to add brown sugar because I have a sweet tooth. 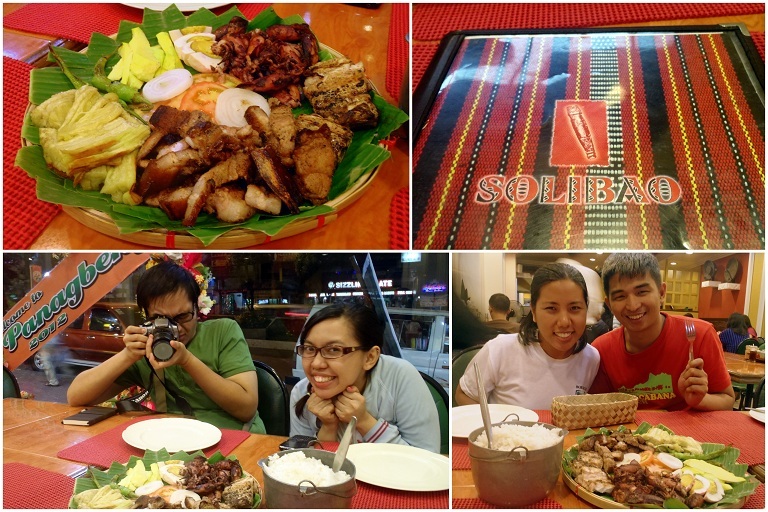 And the food was delicious, too, albeit pricey. But no matter, we were really hungry and we had a nice dinner. Later that night, back at the cottage, Tita Ligaya started the fire in the fireplace and we roasted marshmallows and hotdogs (that E also bought from the market) while drinking rosetta wine from Gabay (that we passed by on the way back) and eating strawberries (that we bought from the market in Baguio). 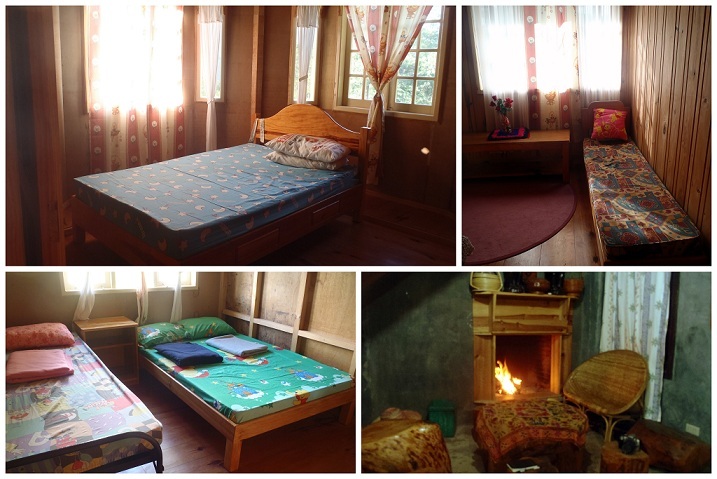 And that was our first night in Sagada. The next day was the day we went spelunking my friends left me to go spelunking. And because I’m bitter about it, that’s all I’m going to say about that. Except it was foggy and we didn’t see anything at all. But, the hike was so much fun, that the trip was worth it anyway. The weather was cool and the scenery was great and the air was fresh, which is always a plus (we live in polluted Manila, you know?). After “cooking” our own lunch, and by “cooking” I mean heating leftovers from last night’s order of sinigang at the Salt&Pepper Restaurant and frying eggs, we left Tita Ligaya’s house and walked to the town. We said goodbye to some friends that we met, and special thanks to Ate J who was kind enough to give us black rice and blueberry jam (for free!!! she’s so nice! :D) and took the 1pm jeepney to Bontoc where we would take the bus to Manila. Now, the clock on the bus was late so I’m not really sure what time we left Bontoc and what time each stopover was. I know there were 3 of them, and the last one was in the early morning of February 28 in Bulacan. And I remember that we arrived at Cubao at around 3am. And I got home at 6am. But that’s only because it’s a way from Cubao to the south of Manila where I live, and I ate some CB6 at Chic-Boy along the way ;). 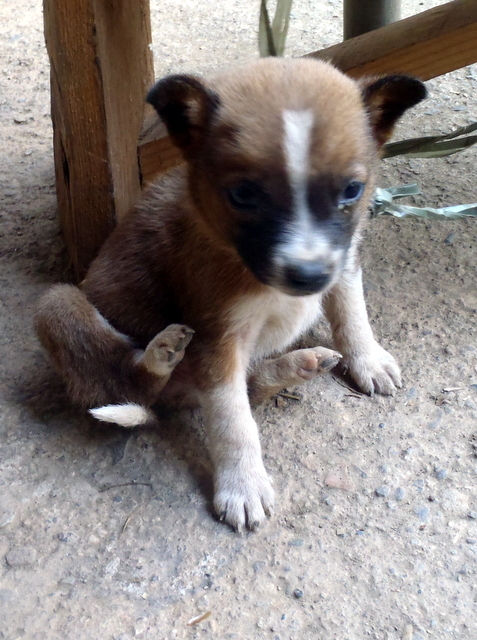 Lastly, a photo of the puppy at Ligaya’s House & Cottages. Because I like cute puppies. As much as possible, I do try to keep the rants in this blog to a minimum (hard as that is to believe). The reason being that it’s not fun to look back on sad/angry memories. Ah, but sometimes it’s hard to keep your mouth shut. 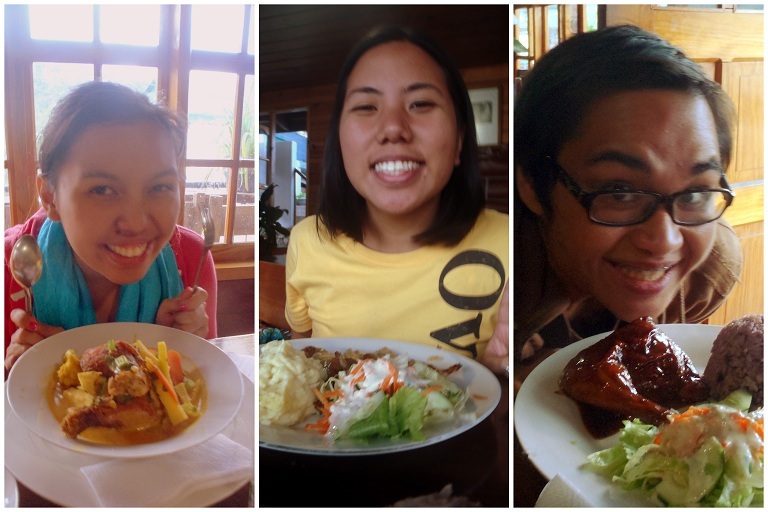 So I thought, okay, we’ll have lunch at the Floating Restaurant and then have dinner at the Veranda Cafe. But apparently that’s not possible because, what they don’t tell you in the brochures (because I assume it’s illegal) is that only Koreans are allowed to eat in the Floating Restaurant. No, seriously. When we got there, we were asked to leave the premises because we weren’t allowed in it. They said we could only eat at the Veranda Cafe. Now, I don’ t know about you, but I think this is clearly a case of racism. I mean, they told us to leave the place because we were Filipino. What the hell? What makes it worse is that it happened in our very own country! It’s so wrong to be discriminated against in your own place. I didn’t want the entire weekend with my friends to be ruined (and we were really very hungry) so we just went to Veranda Cafe and ate there. Luckily, the food was really delicious. I mean, it was really delicious, which picked up our spirits and made the day better. But… at the back of my mind, I was still pretty mad. Right. OK. Maybe on paper, that’ll look like it’s fair. Except, it’s really not. Why are there places exclusive to a particular race?? I can understand if a place was “Members Only”. Because members pay extra for exclusivity. But this is clearly a race issue, because we were specifically told, “This restaurant is for Korean guests only.” Not members, but Korean guests. And what happens if you’re neither Korean nor Filipino in this resort? Are you allowed to eat at either restaurant? Or at neither restaurant? I wasn’t able to ask because I didn’t want to be bothered by the issue again while we were there. I mean, my friends and I were there for a relaxing weekend, so I didn’t want to turn it into a protest rally. But knowing the racist/mis-educated Filipinos, it’s likely that it’ll depend on who looks like they have money, i.e. People who look rich will be allowed to eat at either restaurant, and people who don’t look rich will only be allowed at Veranda Cafe (you know, the restaurant that’s “exclusive” for Filipinos). So yeah, I’m never going back there again. And until they change their racist ways, I wouldn’t recommend anybody to go there. As if it’s such a great place. There are a hundred more resorts that are way better. And if only the food wasn’t so great, I’d probably be ranting about more things.